1. 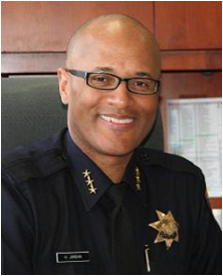 The Oakland City Council voted 7-1 early this morning in support of a controversial plan to hire William Bratton — the former head of the New York and Los Angeles police departments — as a consultant to Police Chief Howard Jordan, the Trib and Chron report. However, it appears that the city will not adopt stop and frisk, an aggressive police tactic that Bratton strongly endorses. Stop and frisk was the main reason why the hiring of Bratton engendered so much debate in the city, but supporters of the Bratton contract said last night that stop and frisk, which can lead to racial profiling, was not an option for the city. 2. The council also unanimously approved plans to hire ten Alameda County sheriff’s deputies to patrol city streets until OPD can complete its current police academies, the Trib reports. In addition, the council unanimously approved a plan from Chief Jordan to hire twenty civilian police techs so that more sworn officers can patrol city streets. The council also approved a plan to launch another police academy in September. 3. The CSU system will not raise undergraduate student fees next fall — at the request of Governor Jerry Brown — even though the public university system faces a $250 million shortfall, the LA Times reports. The US system decided last week not to raise undergraduate fees at Brown’s request as well. 4. The State of California is projected to finish January with $4 billion more in tax revenues than forecasters had predicted, the SacBee reports. 5. And for the first time in its 120-year history, the Sierra Club plans to engage in civil disobedience next month during a protest over the controversial Keystone Pipeline, SF Gate reports.